Why should we pursue knowledge? There are several benefits to learning more of a subject, mostly to bring awareness on the importance of the subject matter to our lives. The same depth of knowledge is needed for comprehending what God’s intentions are for the last days of Earth, the Great Tribulation and whether or not the Rapture is part of His plan. Current events show that prophecies expressed in the Bible are being fulfilled, marking how close we are getting to the return of Jesus. Yet, to determine what God reveals in Scripture about biblical prophecy, especially Apocalyptic Prophecy, we may have more questions than answers. Author Jo Ann Hall knows this all too well, having spent the last twenty years studying and prayerfully pondering what God says about the Rapture and End-Times. 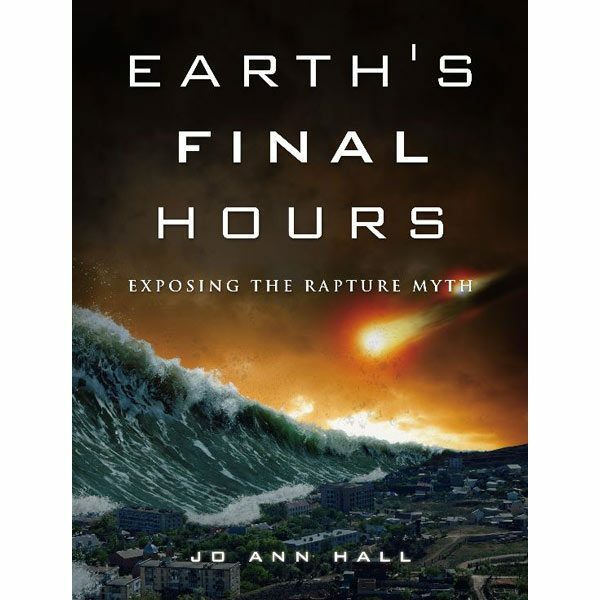 A solution came forth from her effort, in the form of this new book, Earth’s Final Hours: Exposing the Rapture Myth. Comprised of twenty-seven Bible study guides and lessons, the book will enable readers to grasp biblical truths that define prophetic projections for the last days of Earth. Jo Ann begins the study with a commentary on God’s formation of His temple on Earth which represents His Holy temple in Heaven; thus, linking events in Heaven with events on Earth. This initial chapter opens the Bible lessons that seek to answer questions about Salvation, Jesus’ ministry and significant truths revealed in the books of Daniel and Revelation. Earth’s Final Hours is a book to prepare us to recognize the signs of Jesus’ return and allow ourselves to be used by Jesus to help others find Him before it is too late.